DT Earth Day 2007: We Came, We Saw, We Cleaned! We designed the tees. We gathered the plastic bags and gloves. 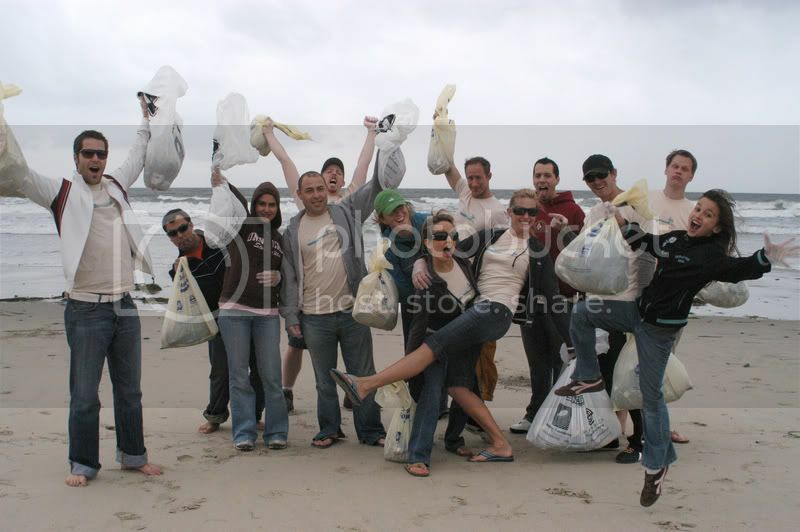 We took the day off from work at the office and headed down to Pacific Beach to give Mother Earth some much needed TLC. Earth Day was a total hit for DT! We came together as the passionate, socially conscious group that we are and personally showed our true love and concern for the Earth. Earth Day this year was about giving back to the community and ultimately to the future of our environment. 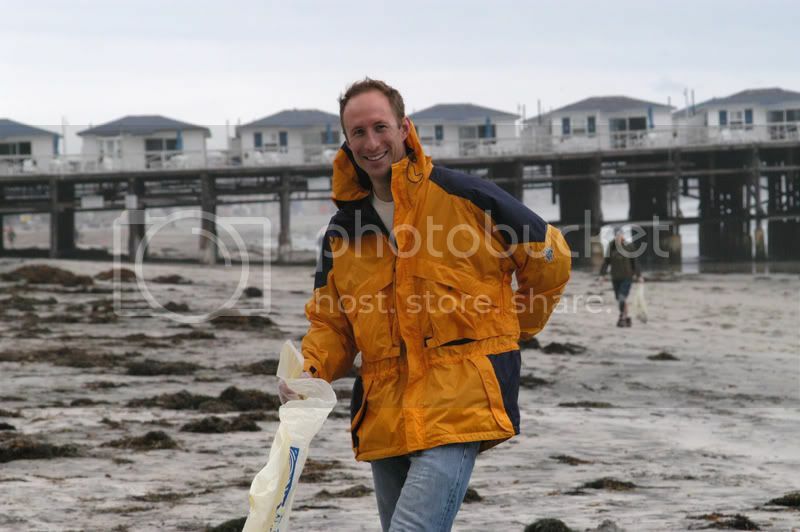 We worked long and hard through the cold, misty coastal conditions to clean up the beach that day in hopes that other companies in the area will take the stance and time to better the environment too. I love the beach and it would be safe to say that most people who live in San Diego are in love with it for the same reason. So why is there so much trash lining the coast of this magnificent city? Itâ€™s not just bits of paper or plastic here and there, but car keys, shoes, pants (seriously! ), Styrofoam, bottle caps, plastic shovels, and the worst of all cigarette butts! Hundreds of cigarette leftovers coated the coast line amongst the seaweed, sand, and cliffs. Odd, considering that smoking was banned from San Diego beaches last summer. We had our work cut out for us on Earth Day. But it was worth it â€“ our Earth was worth it. The DT team with bags full of garbage and big smiles on our faces. They found a mouse in the trash infested seaweed – See? We aren’t the only ones pollution affects. 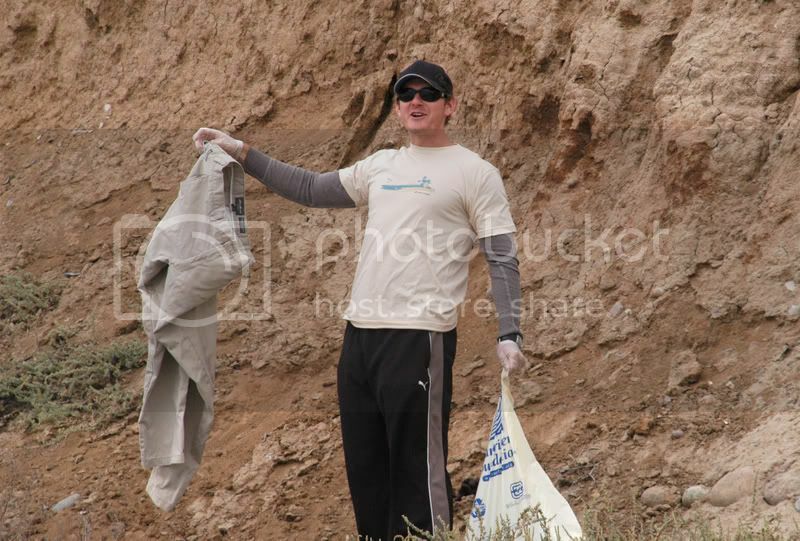 BJ found a pair of pants in his Earth Day cleanup efforts! The man that motivates our team each and every day. Thanks for allowing us the opportunity to take care of our environment, Chuck!